Two conflicting studies out today highlight both good and bad news for anyone employed in the advertising and sales industries. 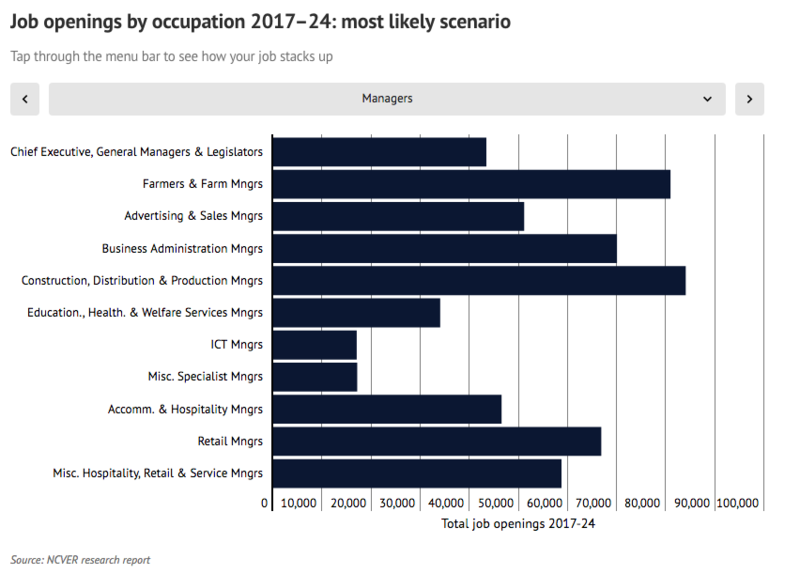 A report by the National Centre for Vocational Education Research has attempted to pick the jobs that will boom by 2024. The usual suspects – teaching, nursing and farmers – were all expected to be in huge demand in the coming years, namely as the Baby Boomers retired from the workforce. Equally, demand for people employed in “sales and advertising” would increase by 2.4 per cent in the next six year and was also one of the strongest categories for growth. The report predicted that over 60,000 new positions would be created in the category in the period 2018-2024. However, the news was tempered by another report out today that found 37 per cent of Australian professionals believed they were being underpaid. The study, by recruitment firm Robert Half and called the 2018 Robert Half Salary Guide, wasn’t advertising or marketing specific. It found that salaries in relation to workload and responsibilities is identified by 45 per cent of office workers who say they are being compensated unfairly. Meanwhile, over a third (35 per cent ) believed they’re unfairly paid because their salary is lower than the industry average for their role. Peer-envy is identified by 10 per cent of workers who claim they felt their salary was unfair because their colleagues who have similar roles receive a higher salary, and 10 per cent say it’s because their salary has not increased in the last two years. Unsurprisingly, the overwhelming majority of Australian workers (98 per cent) would be willing to accept a job offer with a higher salary if they felt they were not being paid a fair salary by their current employer, with nearly two-thirds (64 per cent) of those saying they would be “very willing”. “While many employers are rewarding their top performing staff with higher pay, not all employers are either in a position to attribute pay rises or feel they should give one. “With relatively slow wage growth in Australia, companies can distinguish themselves by regularly reviewing their employees’ salaries and adjusting them to be in line or even higher than industry averages. This approach should be seen as an investment with a solid return as it can have a direct positive impact on an organisation in the long-term due to reduced staff turnover. “In a candidate-short market, companies that fail to regularly review their employees’ salaries risk having them gravitate towards more competitive pay packets elsewhere. This can lead to high turnover rates, which negatively impacts organisations through decreased productivity, low team morale, additional costs due to having to restart the hiring process, and even lost revenue,” Jones said.